As far as I’m concerned, consignment shopping is way more fun than regular shopping. It’s literally like a treasure hunt, where you never know what hidden gem you’re going to discover. So, when a friend of mine informed me that there was a high-end consignment store in New York City for furniture, I jumped at the chance to head down and check it out. I never even knew that such a thing existed! 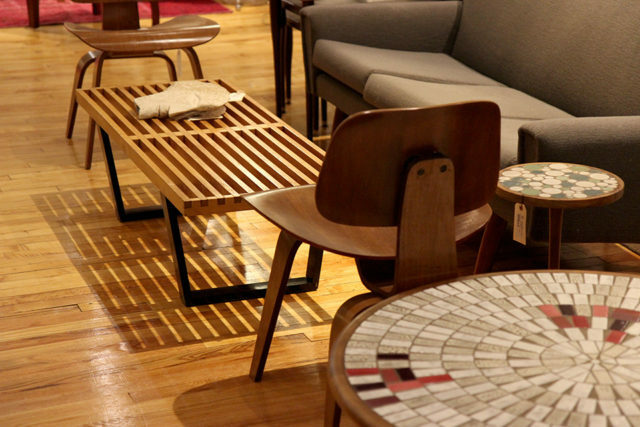 We had a great time visiting Decor NYC and chatting with the founder, Bruce Tilley. See more after the jump! 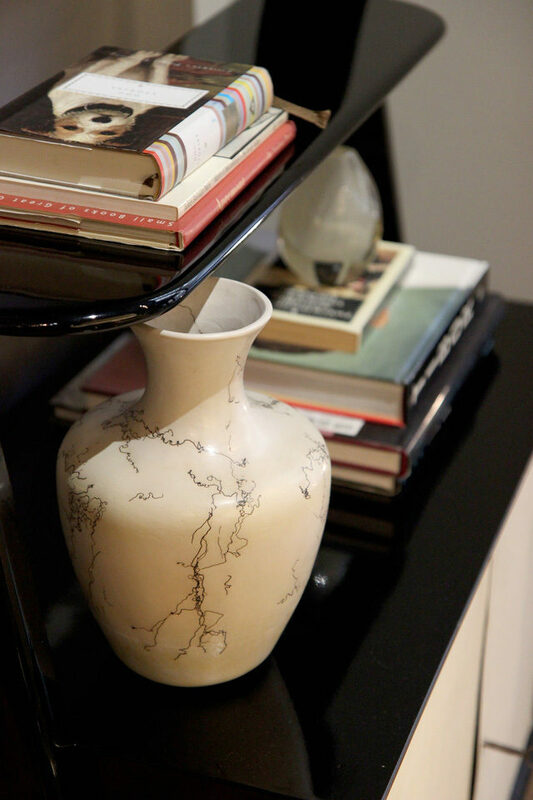 In the same way that people bring Chanel bags to consignment stores, at Decor NYC they come to Bruce with furniture, art, decorative objects, lamps, vintage pieces, and even brand new luxury decor items that have basically never been used. How is this even possible? 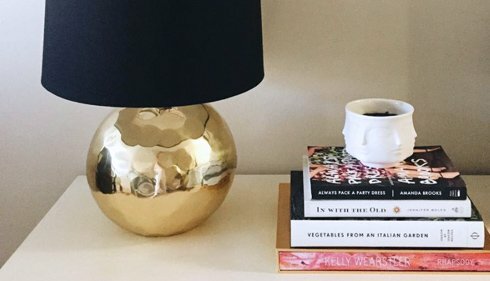 Well, sometimes people own apartments in several places, but they wind up not frequenting one of their homes as much – so when they decide to move, they come to Decor NYC with an apartment full of barely used, high-end furniture. Or, it could be that people are redecorating, or any other of a number of circumstances that results in Decor NYC being stocked to the brim with amazing items. 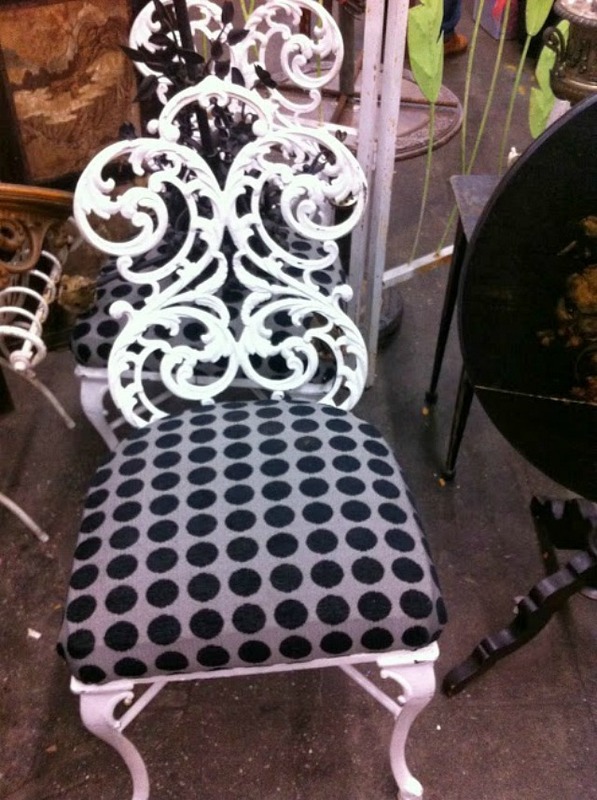 Since the owners want their items to sell, not sit, Decor NYC prices them very competitively. 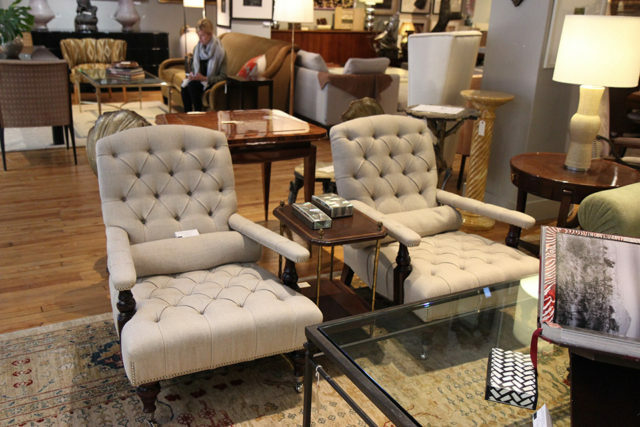 There are some antiques and vintage items at the store that are also available through other antique retailers, but here they’re literally a fraction of the price. 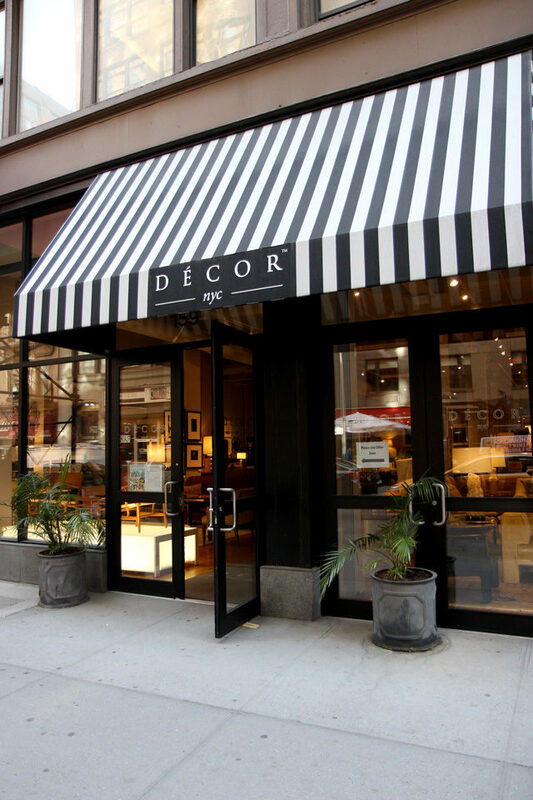 At Decor NYC, there’s an eclectic mix of furniture, but they have it arranged in such a way that you feel less like you’re at a store and more like you’re at a stylish friend’s home. There’s a hugely interesting mix of different styles, eras, designers, design category (modern, traditional, mid-century), and it all works so well together. 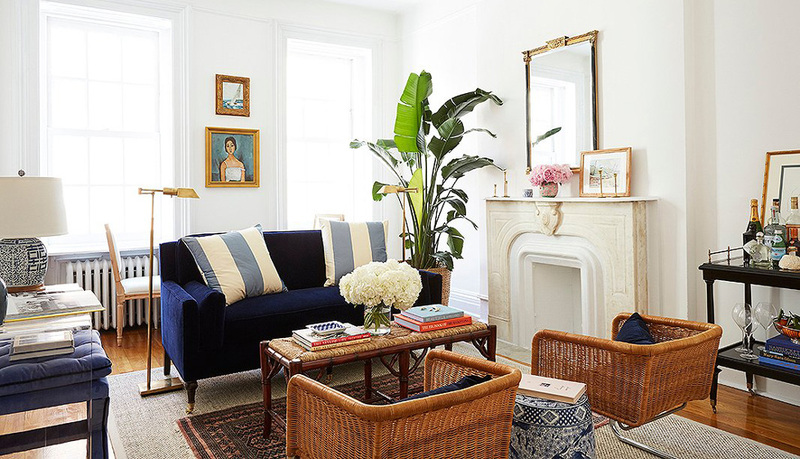 Walking through, I kept thinking, “this is the way that people should decorate” – mixing different styles and eras to create a collected, layered look. So not only is this a great design resource, but it’s actually just a huge inspiration to walk through. Here’s a great example of what they’ve got going on over there. 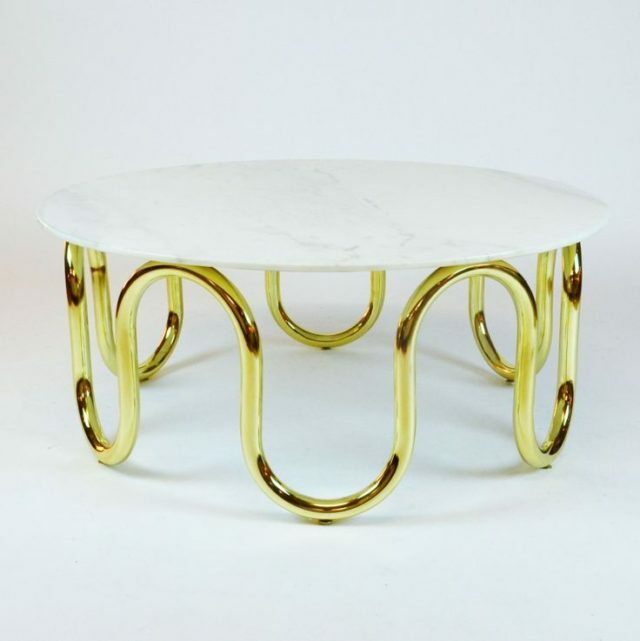 Jonathan Adler’s Scalinatella coffee table, with brass legs and a carrera marble top, is being consigned on their site for $950. New at Jonathan Adler, this table retails for $1,950.00. Pretty amazing! Come to think of it, I kind of want this. It’s insanely gorgeous….I can’t believe anyone would give it up! 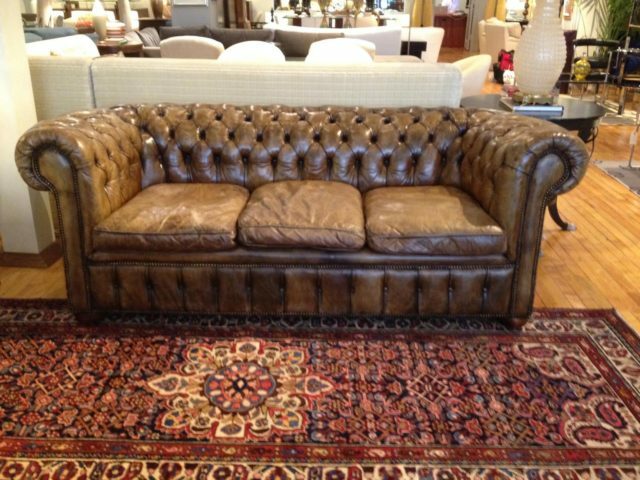 This English Chesterfield is a true antique (circa 1890), which was restored and is currently for sale in the store. I saw a similar one at Dwell Studio in Soho recently, so it’s clearly a timeless piece! 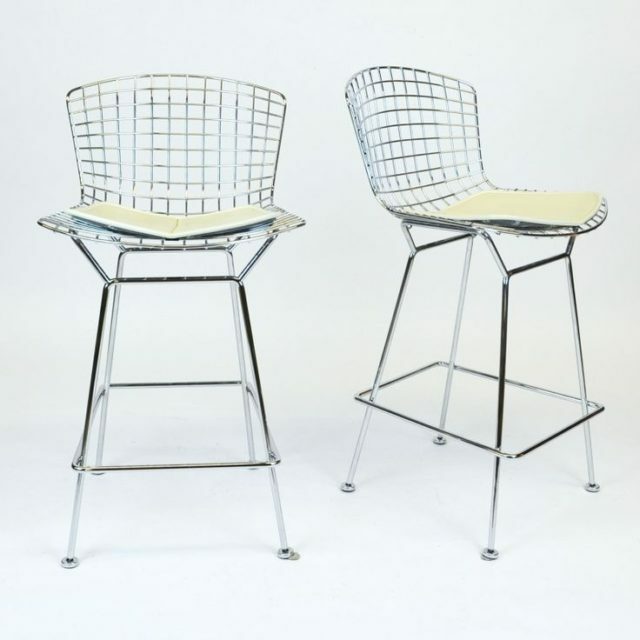 Here they’re selling a pair of Bertoia barstools for $1200. Retail price for ONE of these barstools at DWR: $1,027. Literally almost half the price! I love these barstools, by the way. This gorgeous mid-century George Nelson bench is available for $1500. I love the shadows it casts on the floor below it. How great would this look in a bachelor pad? 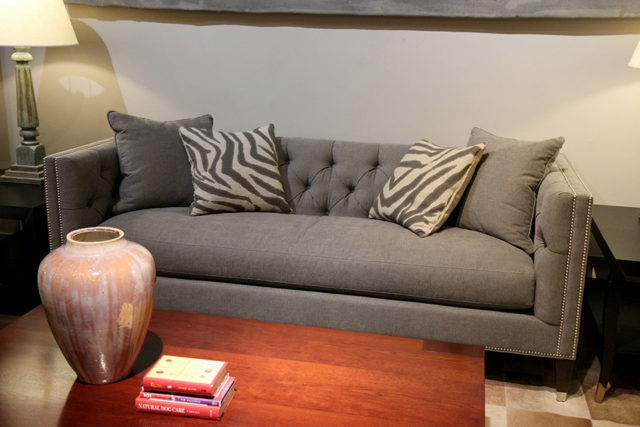 This couch has quite a story behind it – a well-known interior designer had it custom made for a client, but for one reason or another it didn’t work out for the project. What’s a designer to do? Bring it to Decor NYC! A brand-new, custom-made, tufted, nailhead-bedecked couch. I can’t even begin to imagine what it cost to have this custom made! I love the one cushion, that’s always a big selling point for a couch in my book. Since it’s consignment, the inventory is constantly changing, and every time someone brings something in, Bruce gets to research everything about the piece (it’s history, the designer, the time period, etc) – what a fun job! Overall, it’s just such a cool idea, and really, a one-of-a-kind store. Not only is the concept amazing, but the founder, Bruce, couldn’t be nicer – super knowledgable, helpful, and clearly passionate about what he does. 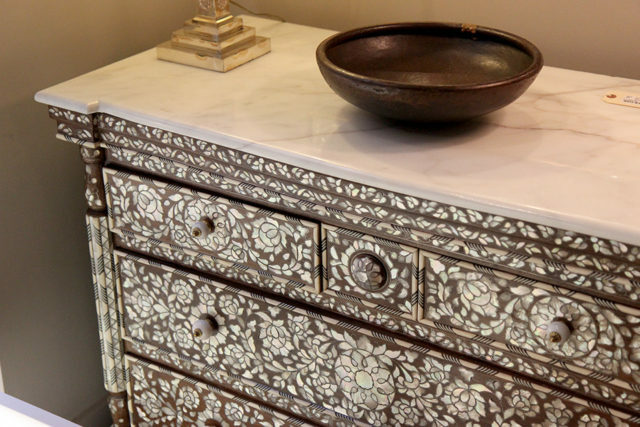 It was a serious pleasure to visit and I encourage anyone who is interested in design, who has high-end furniture that they need to get rid of, or who is in the market for a truly special and high-quality piece to visit or check out the website! 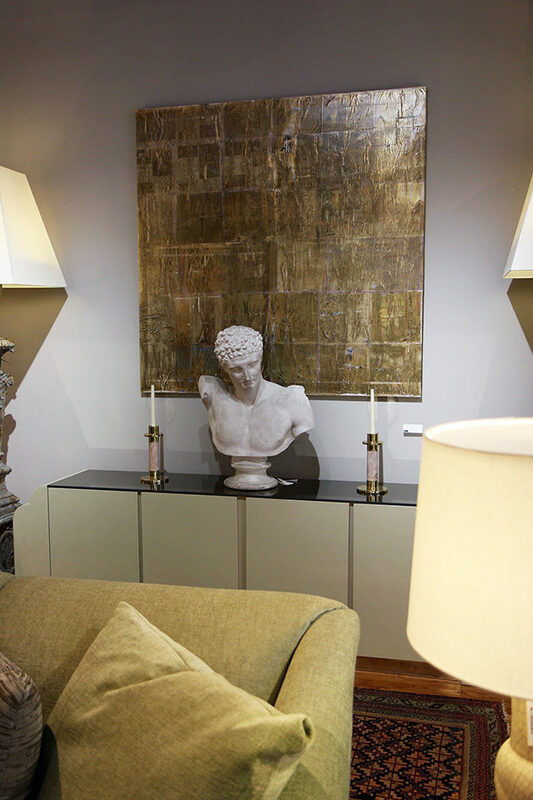 Photos by me, except for the 2 product shots from Decor NYC site, and Chesterfield shot, used courtesy of Decor NYC. 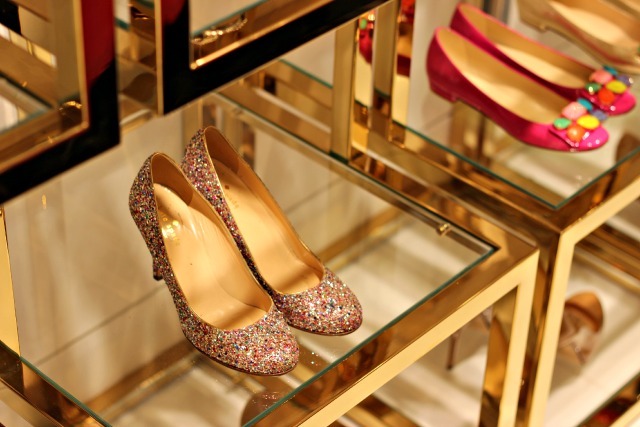 These pieces look fabulous! Going to see what the delivery options are.